As we continue our run through of things that have been said during Nintendo’s recent financial results briefing, there is one particular tidbit that has our scratching our chins with intrigue. 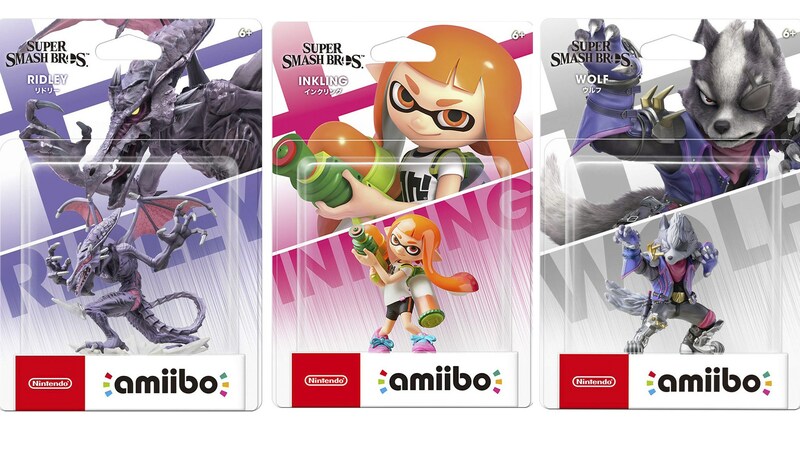 Alongside this comment, is a picture of the Inkling Girl, Ridley and Wolf amiibo we have known about since E3. They might not be new in the common sense since we’ve known about them for ages, but they are not actually available to the public yet, which means, although we already know the likes of King K. Rool and Simon Belmont are to get an amiibo of their own, it just won’t be at launch day. It could be a case of them being released a few months later, as part of a new wave and hopefully it is a case of a few months and not what felt like an eternity, when we had to wait for the Bayonetta, Cloud and Corrin amiibo. Should it turn out to be true that there are only 3 amiibo coming this year, would this decision disappoint you, as you’d rather get the Smash Isabelle amiibo sooner, or would you be happy with this turnout? Let us know!